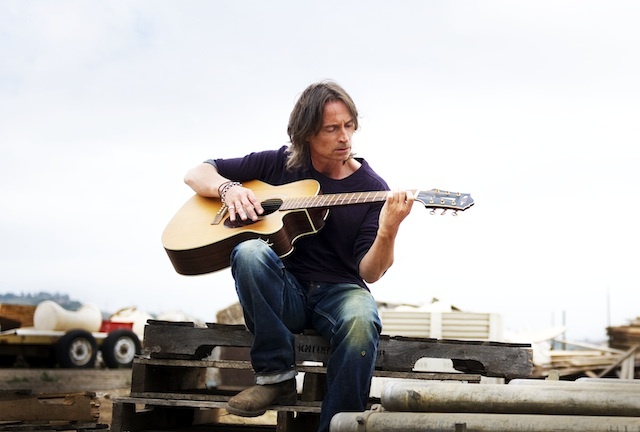 The ever dependable Robert Carlyle, usually relegated to playing a supporting character, gets a chance to show off his leading-man chops in the upcoming indie “California Solo,” a recent best-narrative-feature winner at the Woostock Film Festival. If the first trailer, via distributor Strand Releasing, is anything to go by, Carlyle hits it out of the park. In the drama from Marshall Lewy (“Blue State”), Carlyle plays Lachlan MacAldonich, a washed-up, middle-aged rocker who is working on an organic farm, mostly with undocumented Mexican workers. One night, Lachlan gets pulled over while driving drunk and a prior drug offense puts him in danger of being deported. In a last-ditch effort, Lachlan must prove that his deportation would cause extreme hardship to a spouse or relative who is a U.S. citizen, forcing him to reach out to his estranged family to get them on his side.